Moon Calendar Watch shows for your location the moon phase and the precise times of sunrise, sunset, moonrise and moonset. 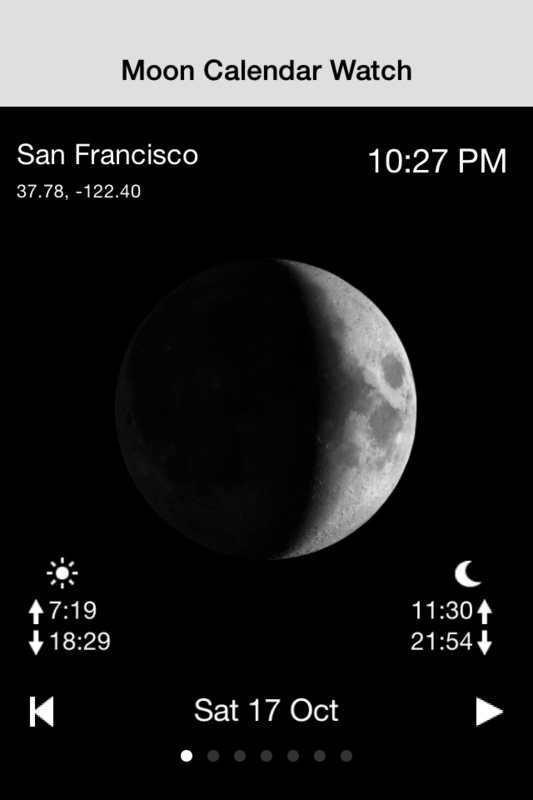 Swipe left/right to see the moon of the next day or play an animation of the Moon Phase Calendar to get a quick overview. The app determines your GPS location and calculates the precise Moon and Sun data at your location. 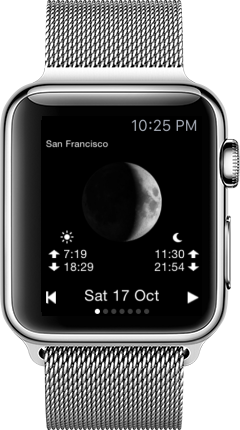 Display the Moon on your Android phone, iPhone, iPod, Apple Watch or Gear S2 watch.